All bloggers want their readers to share their content, so you will usually have no problems locating a social media sharing toolbar somewhere in their blog post. For instance, I use Shareaholic here on And Next Comes L.
However, wouldn't it be nice if you had a social media sharing tool that worked harder for you and your blog. Well, it's possible. See, one of the reasons that I love Shareaholic is that it is easy to customize. 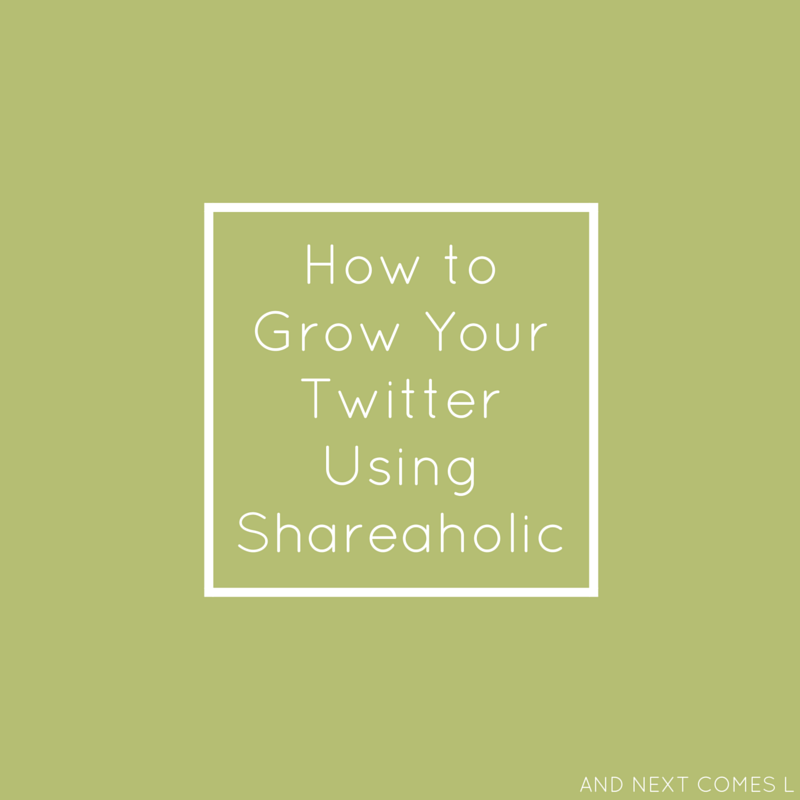 Like did you know that you could easily customize Shareholic to help you grow your twitter following? It's true. Every time someone clicks the tweet button on one of my blog posts, my twitter profile gets tagged. That means that my account gets shown to their followers when they tweet, opening up the possibility of getting new followers. I also get notified that someone shared my blog post on twitter, which means that I can easily thank them for sharing and retweet their tweet. However, when you first sign up and install Shareaholic, they get all the credit when someone tweets your blog post instead of you (which is cool and all since Shareaholic is free). But don't worry, it's a really easy fix. Log into your Shareaholic account and go to your dashboard. Click on "Settings" under your blog's Shareaholic. You can see in the message format that when someone tweets your post, it will display your post title, following by the link, and then via @shareaholic. You also have the option to change the type of URL shortener. 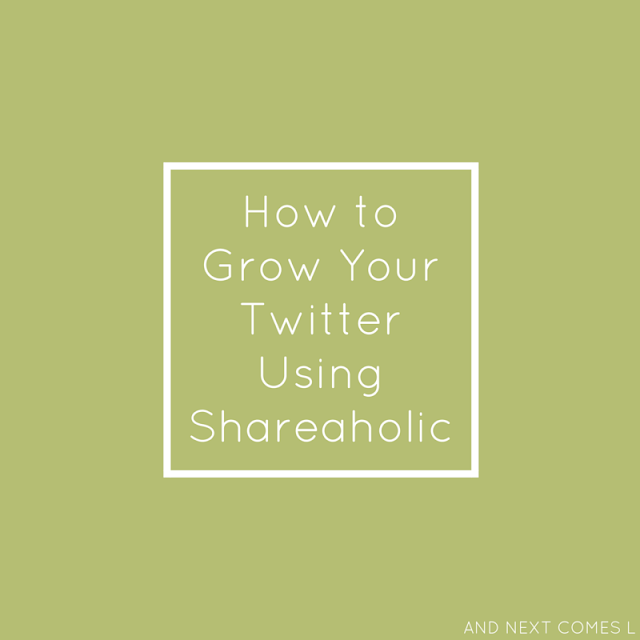 Simply replace the @shareaholic with your twitter handle, like I have done for mine below. Then save. I also changed my URL shortener to goo.gl because it looks nicer, but that is completely up to you. You can also use bit.ly links, as well as a couple of other choices. You could also include hashtags in the message format, especially if you use the same set of hashtags for every blog post. I personally have too many topics to pick just one hashtag to include (e.g., #blogging would look silly next to a blog post about preschool math). Want more blogging tips and tricks? You can find more of my blogging resources here or try some of these other Twitter tips.